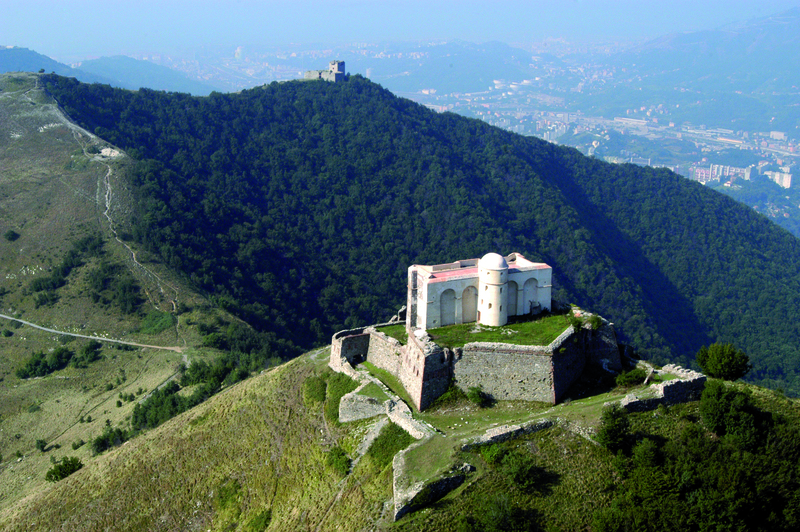 A tour led by an expert guide, dedicated to the “Parco Urbano delle Mura” and the Ring of Forts. The walls (Mura) that give the park its name are the so-called New Walls, built in the 1600s to fortify city and port defences. The park also boasts several military forts built between the 17th and 18th centuries and preserves the natural habitat of the area, home to several species of protected flora and fauna. The meeting point is the Tourist Information Office in via Garibaldi 12r, from which the group will reach the characteristic funicular railway Zecca-Righi that leads to Righi hill. 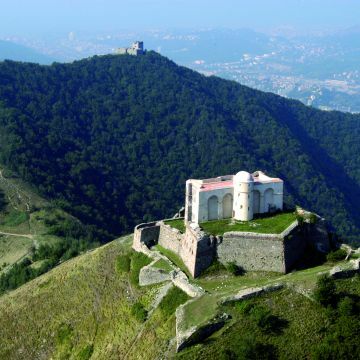 The tour goes on to Forte Sperone, up to Forte Puin, following the so - called Butterfly trail and “antiche neviere” and back to the funicular railway station along the route to Forte Castellaccio. The interior of the Forts cannot be visited. DIFFICULTY LEVEL: easy hike on trails, suitable for all; it requires a minimal ability to walk in a natural environment. Hiking footwear and clothing recommended. Prices: Full price € 14,00 (tour and small guide of the area included - transport tickets not included); - Free under 6 y.o. (transport tickets are compulsory for children taller than 1,15m). Tickets are available to buy online or at the Tourist Information Offices. Tickets are not refundable. If the service will not be confirmed, participants will have the opportunity to schedule the visit to another date, or make one of the other tours to choose from Walking Tour or the Palazzi dei Rolli tour "The magnificent Genoese residences of the 1500s". The tour is subject to a minimum of 9 and a maximum of 25 participants and will be cancelled in case of bad weather. In case of cancellation you will be sent an email before 10:00am on the day prior to the tour. We recommend to get to the starting point at least 15 minutes before the departure. We suggest comfortable clothing and appropriate footwear to unpaved paths.